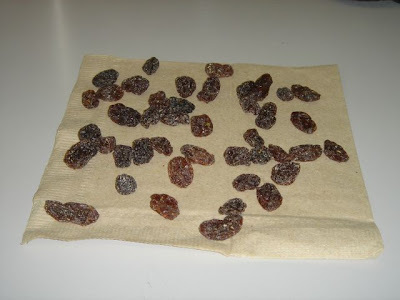 I thought your raisin photo was of cinnamon-sugar covered almonds. You should add those. I never knew such a wonderful thing existed! I'll have to find some of those. 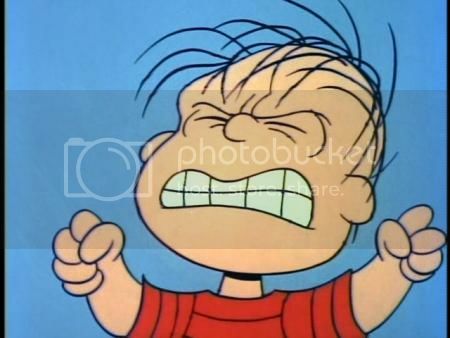 I accidentally got smoked almonds instead of the regular kind. It adds an interesting dimension to the salty and sweet of the other ingredients, but I don't know if I'd use them again. Already got one, but it's in storage. I make 'em good beef jerky. yea, once you start making your own trail mix you'll never go back to pre-mixed. good job. heres the morris secret ingredient...next time youre in c-bus, go by trader joes and pick up like 20 bags of chilli mangoes. dice up some of those bad boys and throw em in, amazing. only do this when you are truly ready to take your trail mix to the next level. oh also, if youre gonna throw chocochips in, get the ghiardelli 60% cacao chips. i'll never use anything else. FYI the Trader Joe's on W Broad will be open shortly. I double hate raisins. In culinary school we had to make granola and my partner that night got angry with me because I left them out "by accident". CW - Good tips. I'll try those in my next batch. spydrz - Good to hear. It can't open soon enough. mags - I used to like them as a kid (as all kids do). Not sure when I soured on them. You know, I always wondered how culinary students and chefs handle ingredients/dishes that they absolutely despise. I don't think I could ever cook with mustard. In the future, I hope my trail mix will be delivered to me as a pre-measured slurry injected via a gastric tube. Uncle Micah's Old Fashioned Good Time Non-Hippie Trail Mix 2.0, along with the addition of One-A-Day vitamins. grapes are awesome. why do we find it necessary to dry the awesomeness of grapes out of them? Frozen grapes are super duper awesome. I think we're all pretty much representative of the population at large. If we're all in agreement, how come raisins are still produced? because I like them? 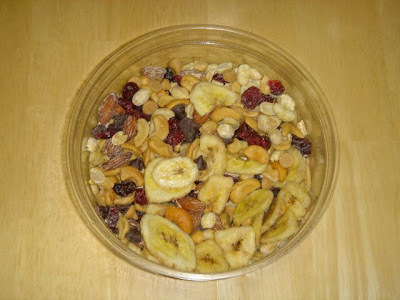 But I like craisins better; that's what I ahve in my home-made trail mix. I also have dried fruits like pineapples, mangoes etc. While I like dried pineapples, the ones I've tasted are a bit too sugary. I've got enough sugar in my mix already. I am REALLY enjoying the dried mixed berries that I included, though.